I am a nurse, academic and former NHS executive director. I have been associated with the Trust, in one way or another, since 1986 when I trained as a nurse at the former Westminster and St Stephen's hospitals. I am currently a professor at the University of Bedfordshire where my research focusses on nursing practice, healthcare leadership and workforce issues. I have been a patient at Chelsea and Westminster Hospital since 2013 and live in Ealing (near to West Middlesex Hospital) with my partner David. Outside of work my interests include spending time with my two teenage children and friends, especially skiing in Les Gets, shopping in New York, theatre in the West End and mixing cocktails at home. I work at Barclays where I am responsible for Equity Prime Services sales in Europe. I am also a solicitor, a non-executive director of PharmaSys Limited and Chair of Finance at All Saints Church in Fulham. I became a Patient Governor because the NHS belongs to all of us and is a fundamental feature of our society. It is becoming increasingly complex to run. I want to use my business skills to help Chelsea and Westminster Hospital and the NHS develop and execute a successful long term and financially sound strategy while enabling medical professionals to deliver a clinically excellent and compassionate service to patients. I run a small healthcare-focused market research agency, helping medical device companies develop new products. I also provide voluntary help to CW+ as a member of the advisory board of the Enterprising Health Partnership. As a resident of Fulham for more than 20 years, I know Chelsea and Westminster Hospital well, and my family have benefitted from the fantastic care it offers on many occasions—my two younger children were born there. Being a governor is a great opportunity to give something back by strengthening the bond between the hospital and the people it serves. I would also like to help contribute to the hospital’s continuing efforts as a centre of innovation and improvement within the broader NHS. I am a full time mum with a background in criminal law, publishing, editorship, journalism and healthcare consultancy. Over the years I have been involved with Macmillan Cancer Support, Dignity In Dying, Age Concern, Howard League For Penal Reform, Advocacy in mental health, Kensington and Chelsea's PPIF—all of these in communications, public relations and public information roles. Be it educating through the written or spoken word, helping others has always been a big part of me. I have a deep passion for patient care both personally and professionally. I want to be able to support changes enabling better quality healthcare that addresses the needs of all patients and a changing population. I had my daughter in Chelsea and Westminster Hospital and have lived in the Borough of Hounslow for most of my life—both are therefore extremely special to me. A retired telecommunications manager. Since then, I have actively engaged with the local community by raising the profile of the town I live in through the media and local press as a publicity officer working with local committees organising social functions, market events and bi-annual fundraising fetes. I am also on the Governing Board of a secondary College and a mentor to technical graduates in their specialist disciplines. This could also take the form of sites visits to Companies specialising in cyber security, voice and data I am also a part time consultant for advanced technology as an when required. I am also a member of the Institute of Telecommunications Professionals and the Radio Society of GB (RSGB) and a member of the West of London Astronomical Society (WOLAS). I am keen to serve the community within the catchment area of the Trust especially those who are incapacitated, sick and live alone and also when they are in hospital. To achieve this, I am prepared to work closely with the medical staff, various disciplines of management to make things happen by delivering improved patient and public experience by helping to resolve any issues that will be presented to me by working with the appropriate divisions within the Hospitals. As a Governor I also intend to engage with, listen and support patients and the public by seeking to build a permanent positive relationship bond with them and the Trust. I recognise that the complexities of the modern NHS are very challenging and I look forward to serve rather than being served. I'm retired from a career in clinical medicine, research and healthcare management. I now seem to have too many interests including an advocacy charity, Jungian psychology (with an associated committee) and a cottage with too much land near Oxford. I want to continue using my long and varied experience of medicine and its management, and the voluntary sector, especially in such a flourishing organisation. I am a managing partner at Axolotl Associates, have a professional background in finance and defence, and significant advisory and board experience in the public, private, and charity sectors. A Fellow of the Royal United Services Institute and an Improvement Leader Fellow at CLAHRC Northwest London, I serve on several health bodies, such as NHS England's London Clinical Senate, Imperial College Healthcare Trust's Strategic Lay Forum, and University College London’s Biomedical Research Centre Neuroscience Panel. All this tends to keep me very busy, but I find it fulfilling. I wanted to put my enthusiasm, knowledge, and experience of international healthcare to good use in this excellent (and improving) flagship Trust. After having travelled the world in various capacities, I have lived for most of my life in the Royal Borough, and wanted to pay forward into a system that is facing difficult times ahead. I have a special interest in those with invisible disabilities and deficits, in the challenges facing the ex-military, and in community members with a non-standard background. I live in Kew with my husband and two young children, and am currently working as a TA at a local primary school, though my professional background is mainly in marketing and design. Over the years, I have come into contact with the NHS on a number of occasions: as a patient, as a close relative of consultants and carers working for the Trust, and witnessing first hand the tireless dedication and care of NHS staff as they saved the lives of two dear friends. Given the pressures the health care system is currently facing, and the critical role it plays in our lives, I am keen to dedicate my time and energy to supporting the Trust in whichever way that I can. Originally from Ireland, I’ve lived in South West London for almost 20 years. I work in communications and PR and during my career I have undertaken roles within the corporate and not for profit sectors. I became a public governor because I want to play my part in ensuring my local hospital Trust continues to be run with the needs of patients at the heart of everything it does. I’ve had personal experience of a close family member being seriously ill in hospital for a long period of time, which gave me an insight into how vulnerable and lost patients and their families can feel. I believe passionately in the ethos of the NHS—healthcare for all, free at the point of use—and that it’s vital the health needs of the community are provided for by locally accessible services. I hope that I can use my experience, both professional and personal, to help shape how the high-quality services offered by the Trust continue to develop. I am passionate about athletics and have been involved in the sport as an athlete and official for more than 50 years. I am currently chairman of Surrey County Athletic Association. My main purpose in becoming a governor is to ensure that Wandsworth's point of view is taken into account in any key decisions made by both the board of directors and the council of governors at Chelsea and Westminster. While Wandsworth is south of the river, Chelsea and Westminster is the main acute hospital for people living in Battersea. It must not be forgotten that people living in West Wandsworth including Tooting, Roehampton and Putney, are also entitled to use services at Chelsea and Westminster. Although retired from my journalistic career during which I reported on London health and social care issues, I continue to take a close interest in health matters in Wandsworth regularly attending meetings of the Clinical Commissioning Group, which commissions Chelsea and Westminster to provide services for its population. My understanding of the landscape of the NHS is particularly relevant now with the implementation of the Health and Social Care Act. I am a lawyer and work for the Shiseido Group as European General Counsel for the bareMinerals and Nars cosmetics brands, having previously worked for Apple, Paramount Pictures and Channel 4. I am passionate about widening access to the legal profession and mentor young people and junior lawyers, working with the College of Law, Sutton Trust and Social Mobility Foundation. I also serve as a governor of two London state secondary schools in Wandsworth and Hammersmith. Originally from Scotland, I live in Wandsworth with my husband and three children. I became a governor because I am a passionate supporter of the NHS and having had my children at Chelsea and Westminster, have a particular interest in the Trust’s work. 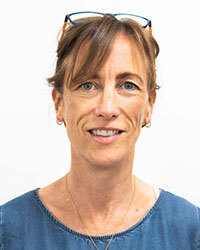 I also had complications during my first pregnancy and my eldest child received excellent outpatient care at Chelsea and Westminster throughout his childhood, so I came to know the hospital well and really care about the staff and patient community and want to use my business skills to contribute to the Trust’s continued improvement. I previously studied Accounting and worked in various Accounting roles within the statutory and charitable organisations framework. Along the way like many who have the creative urge my hobby set a chain of events where I had a gradual career change and so my interest grew into freelancing in the Creative and Cultural Industries and Entrepreneurship. I’m currently studying part-time Arts and Media Management and re-cooperating from health issues. I have been a user of Chelsea and Westminster for the past 7 years on an adhoc basis and I can honestly say I can see and feel the change with the organisation: from waiting time reduction, to medical mannerisms and patient care. The diverse staff and patients and the quality of the service provided has increased. There has been a strategic effort to make changes with the hospital. I know that Chelsea and Westminster has overcome a lot of challenges to reach were it today. I became a governor so that I could put forward both mine and others point of view in a constructive manner to the right people. I also feel a sense of pride about the Hospital and hope I can contribute effectively.